December marks the annual TTA press Advent Calendar. A month packed with the festive cheer of a story a day right up until the big day. It's all set to be a great line up as usual, so check it out for some Christmas chills and thrills. If you take a peek behind door number 3 you’ll find Charlie’s Stones. Friday, 6 September 2013 Terrified Yet? 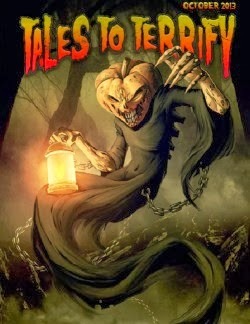 The good folks over at Tales to Terrify have a bumper crop of fine flash stories today. Some fellow by the name of Bonehill joins the illustrious company of Joe R. Lansdale, P.D. Cacek and a host of others in the podosphere. So while you’re listening to great tales by great writers, check out my story too. In the Garden is a brief uplifting tale which I hope you’ll enjoy. Thanks to Antoinette Bergin for a great reading. 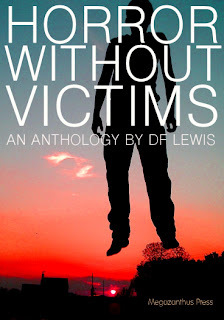 There’s an excellent review of Horror without Victims here. Delighted to report that my story Vent will feature in the forthcoming DF Lewis anthology Horror without Victims. More info and table of contents here. The Beachcomber is now live over at Horror D'oeuvres. It's a subscription only site, but is free to members of the Dark Fuse Book Club. And if you're at all interested in dark fiction, then you really should be a member. Hope you enjoy this little tale of loss. Absolutely delighted to say that my story ‘The Beachcomber’ will feature as part of Dark Fuse's new flash fiction venture Horror D’oeuvres. For my money, Dark Fuse is one of the best genre publishers around right now and it's a real honour to be involved with them. It marks my first pro-rate sale in a while and comes at a time when I’ve been questioning this whole writing thing, so it’s both a thrill and a real boost. The Beachcomber came more or less fully formed in the space of a couple of hours one afternoon. Some minor edits and a little spit and polish later and it was done. Is there a lesson here about trusting my instincts a little more? Maybe, maybe not. More details as and when, but in the meantime, huge thanks to Shane Staley at Dark Fuse for picking this one up.